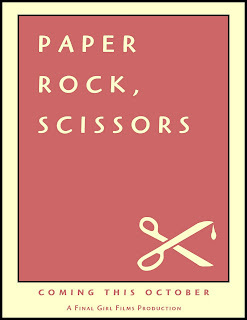 Dread Central's own Heather Wixson has just released her first short film called PAPER ROCK, SCISSORS and it's a definite must see! The short stars Aaron Pruner (VR Troopers) and Corbett Tuck (Insidious) and a card board stand up of Dwyane "The Rock" Johnson. Enjoy and show some horror love! If you smell what the Brian is cooking!